Our understanding of missions is rooted in the nature and identity of God. The more we understand God and His nature, the more clearly we see our mission in the world. Four eternal truths help us establish a strong theological underpinning for our mission activity. God is a Missionary God. Our Creator is one who sends and is sent. “For God so loved the world that he gave [sent] his one and only Son, that whoever believes in him shall not perish but have eternal life” (John 3:16). God called Abram to leave his country, his people and his home, so that He could bless all peoples on earth through him (Genesis 12:1-3). Joseph revealed himself to his brothers in Egypt declaring, “God sent me ahead of you to preserve for you a remnant on earth and to save your lives by a great deliverance” (Genesis 45:4-7). God now sends His church to make disciples of all nations (Matthew 28:19-20). Jesus, the Son came “to seek and to save what was lost” (Luke 19:10). We have been created in God’s image. Those restored to His image are sent into the world to fulfill His mission. God Calls His Servants to Join Him in His Mission. “What, after all, is Apollos? And what is Paul? Only servants, through whom you came to believe — as the Lord has assigned to each his task. I planted the seed, Apollos watered it, but God made it grow. So neither he who plants nor he who waters is anything, but only God, who makes things grow. The man who plants and the man who waters have one purpose, and each will be rewarded according to his own labor. 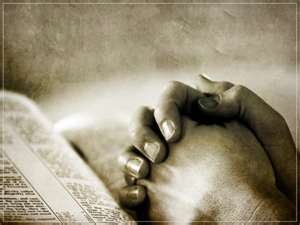 For we are God’s fellow workers; you are God’s field, God’s building” (1 Corinthians 3:6-9). Only God can provide the increase, yet He calls us to plant and water. I am always amazed when I hear that God has called me to be His “fellow worker” in His mission. This understanding motivates me not to ask the Lord to bless what I am doing but rather to ask Him to involve me in what He is blessing. The World is In Need of a Savior. The statement may not be “politically correct,” but without Christ we are lost and separated from our God. Jesus looked upon the multitude and was moved with compassion because they were harassed and helpless, like sheep without a shepherd. His Messianic ministry then becomes our ministry of preaching, teaching and healing; bringing the love of Christ to the needs of the world. The cry of those separated from Christ calls us to “ask the Lord of the Harvest to send out workers into His harvest field “(Matthew 9:35-38). Jesus Promised to Build His Church. Jesus affirms, “…I will build my church, and the gates of Hades will not overcome it” (Matthew 16:18). Our role is to make disciples (Matthew 28:19-20); Jesus will take those disciples and build His church. It is not an either or proposal, but rather a “both and.” Yet, we must not overstep our role. Jesus builds his church. I have spent too much time trying to “build the church,” without understanding that is God’s role. I am to equip others to be his obedient followers and He takes these disciples and builds them into His church. We must not fear, doubt or question this clear promise of God. As we struggle to grasp the nature and character of God and His kingdom, we gain a deeper understanding of our identity and role which is rooted in eternal truths that do not change with time, culture or generations. 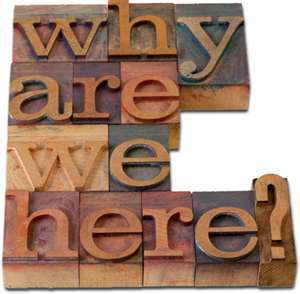 One of the most significant questions we ask is “Why are we here? Why do we exist? What is our ultimate purpose in life?” I don’t propose to have a “lock” on the answer to those eternal questions, but those questions point to the issue of priority. What is our most important purpose in life? In the past, l have answered this question with the statement, “We are to share the good news of Jesus with the world.” Mission or evangelism was the number one priority in my mind. However, several years ago, I allowed the word of God to change my perspective on what is the “first thing” in the life of a Christian. God himself identifies his priority which must become my priority. Look at Isaiah 48:9-11. Israel has once again been rebellious. God is about to bring His wrath against Israel. He says, “For my own name’s sake I delay my wrath; for the sake of my praise I hold it back from you…For my own sake, for my own sake, I do this. How can I let myself be defamed? I will not yield my glory to another.” God’s priority was for His name to be glorified throughout his creation. God’s priority becomes our priority. Our purpose in life is to glorify God. Jesus reminds us of our identity. “You are the salt of the earth. But if the salt loses its saltiness, how can it be made salty again? It is no longer good for anything, except to be thrown out and trampled by men. You are the light of the world. A city on a hill cannot be hidden. Neither do people light a lamp and put it under a bowl. Instead they put it on its stand, and it gives light to everyone in the house. In the same way, let your light shine before men, that they may see your good deeds and praise your Father in heaven” (Matthew 5:13-16). Our reason for existence is to glorify our Heavenly Father. If we are putting first things first, we must remember that we are to glorify the Lord in all that we do. When we have these priorities out of place missions can actually become an idol. We can actually allow what we define as “missions” to become “the Lord” and allow ourselves to be motivated to let the end justify the means. The reason that we are involved in missions around the globe is so that God might be glorified. Somewhere in a hut or a hamlet, in a heart or a home, God is not being glorified. Let’s be the presence and the witness of God’s good news, so that He will be praised everywhere. May we live in such a way that God is always glorified. 1 Corinthians 10:31.